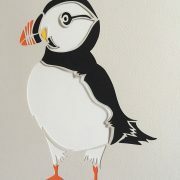 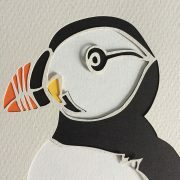 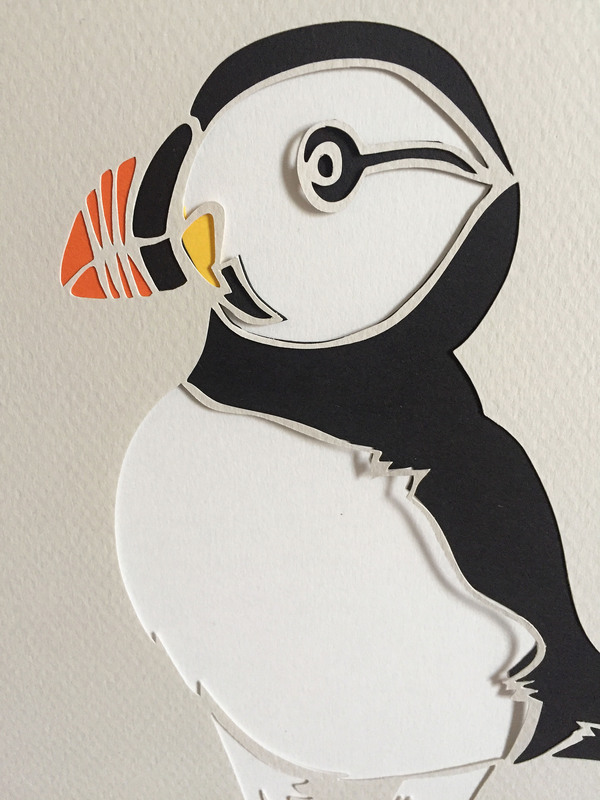 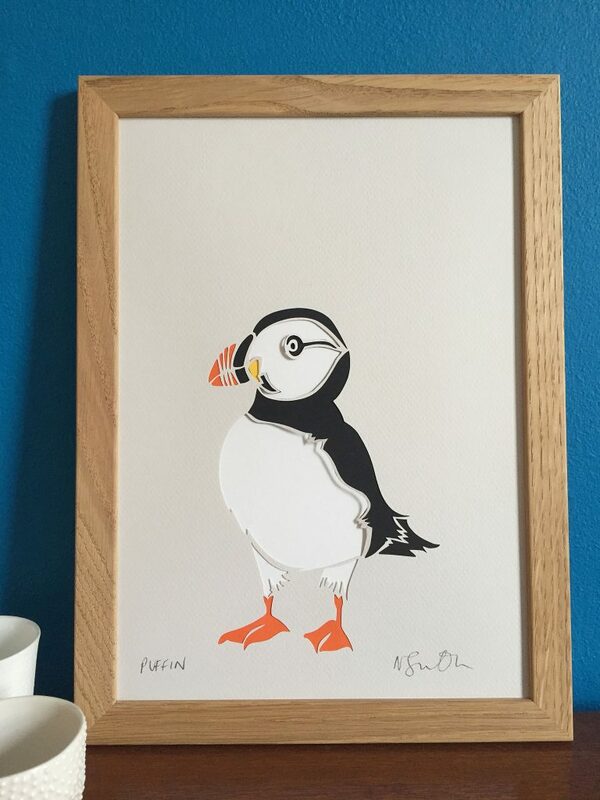 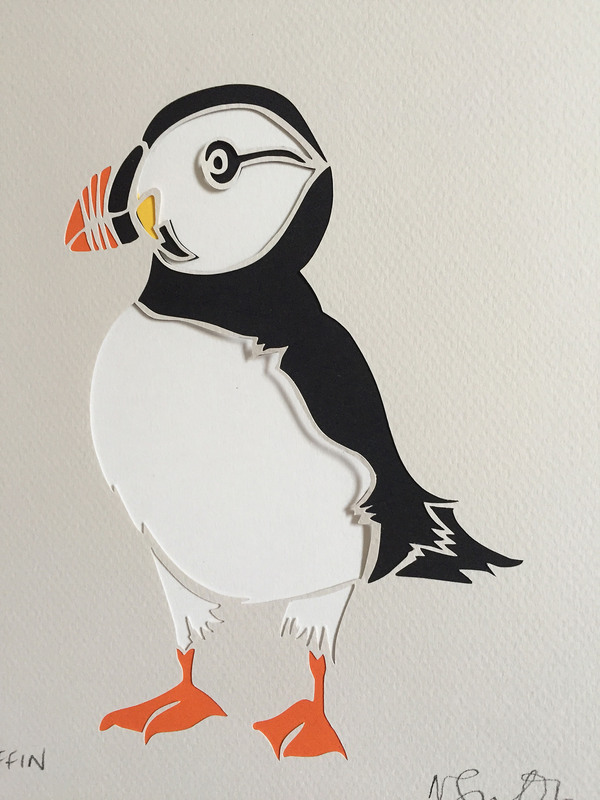 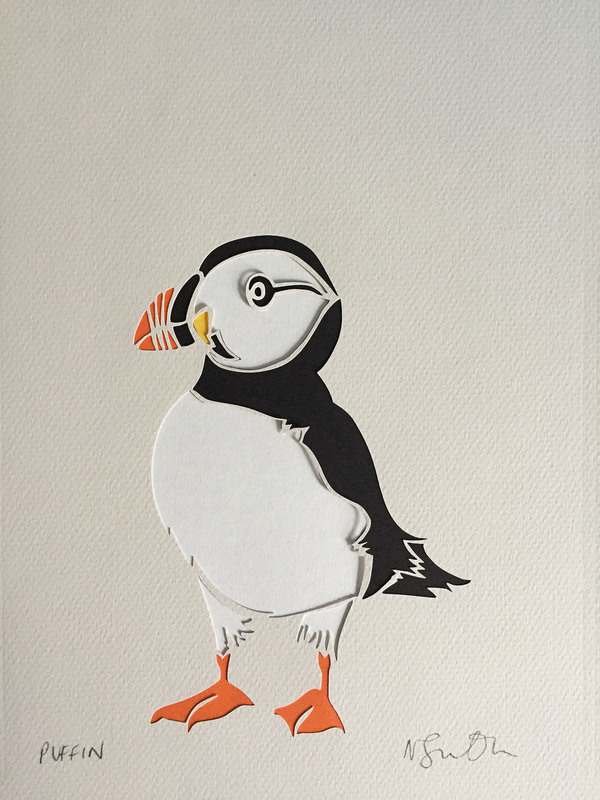 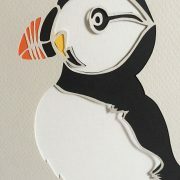 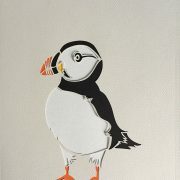 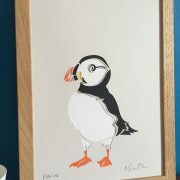 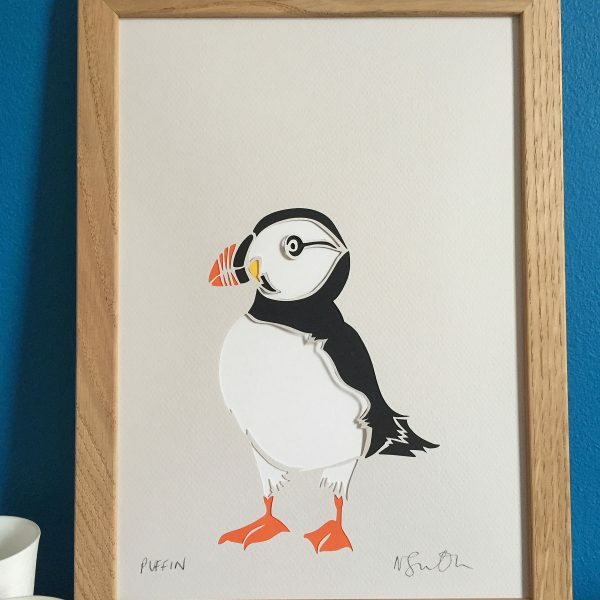 This puffin papercut is made from gorgeous textured Murano paper with painstakingly hand assembled coloured inlays. 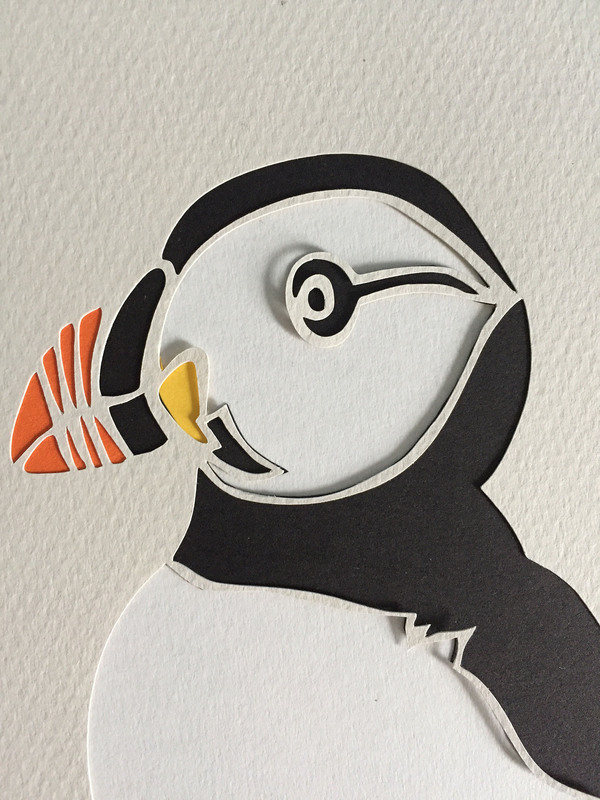 The puffin is such a wonderful bird, with its colourful plumage and cheerful clowning. 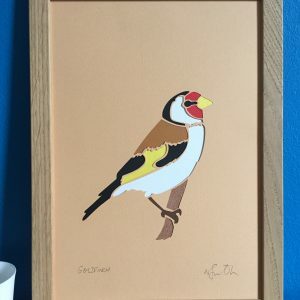 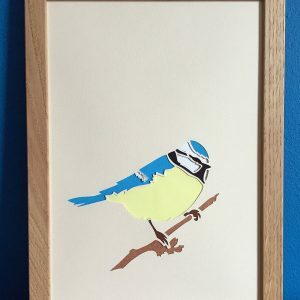 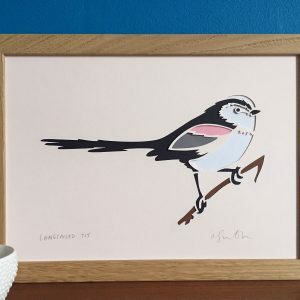 Bird fans would be thrilled to receive one of these as a gift, the papercuts are born from drawings in my sketchbook, which are then simplified down into separate shapes and cut carefully from Murano paper. 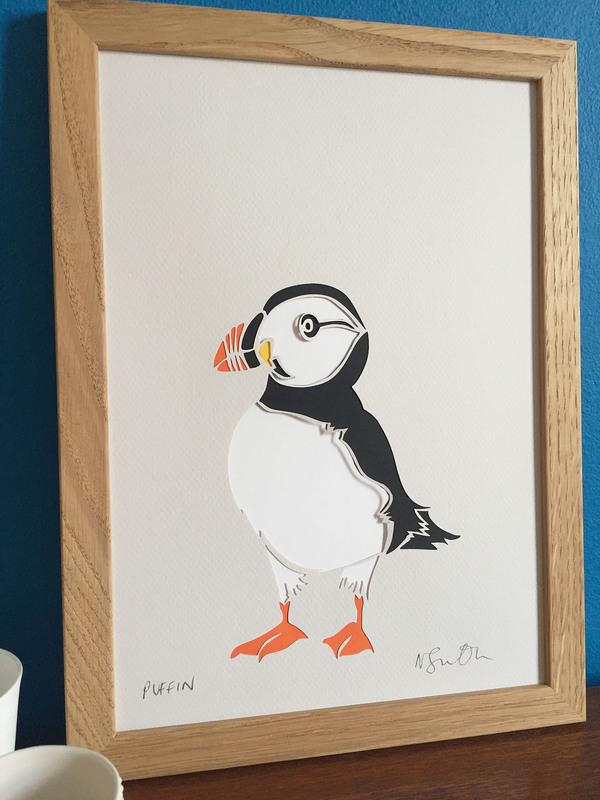 Measures 21×29.7 cm, standard A4 size for easy framing.